Currently have a 4 year old Jungle Carpet Python that was fed Live Guinea Pigs the last 2 years, I've had the snake for about a year now and have tried every trick in the book to get it to try to eat rats but nothing is working, live, F/T, prekilled, nothing at all! Finally decided to try a f/t Quail 2 weeks ago and she ate it immediately, no hesitation what so ever. Tried again today and same result. 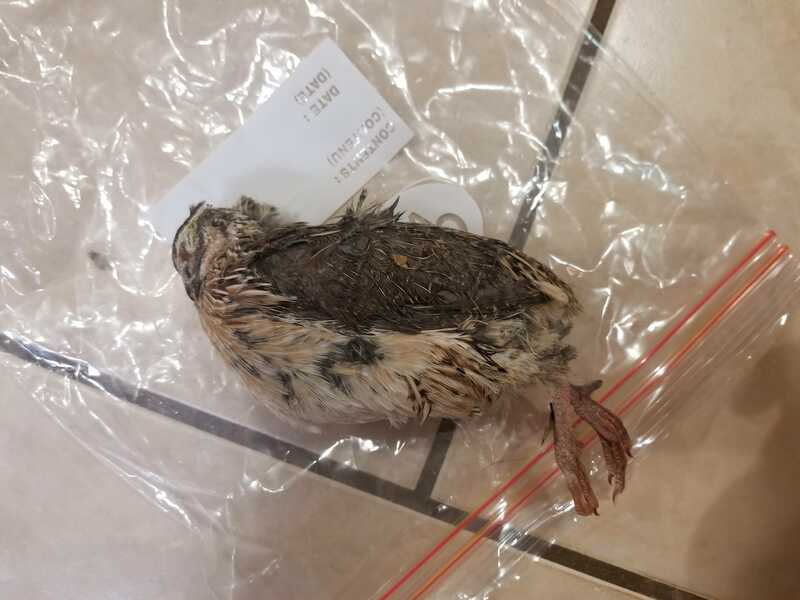 Now I have a breeder who can continue to provide Quail for me and at a better price than a rat. Can she just survive on Quail alone? I've read online many people have said yes, but wondering if anyone has had personal experience in this regards. Also, I have provided a picture of the size of Quail, if I go this route, how many do you think I should be feeding her and how often? Side question, could it be another bird? Like a pigeon or duck, as I have a breeder for that as well. I plan on trying to do rabbit every 3rd feeding, as I get those for relatively cheap and I heard they are extremely good for snakes in terms of nutrients. 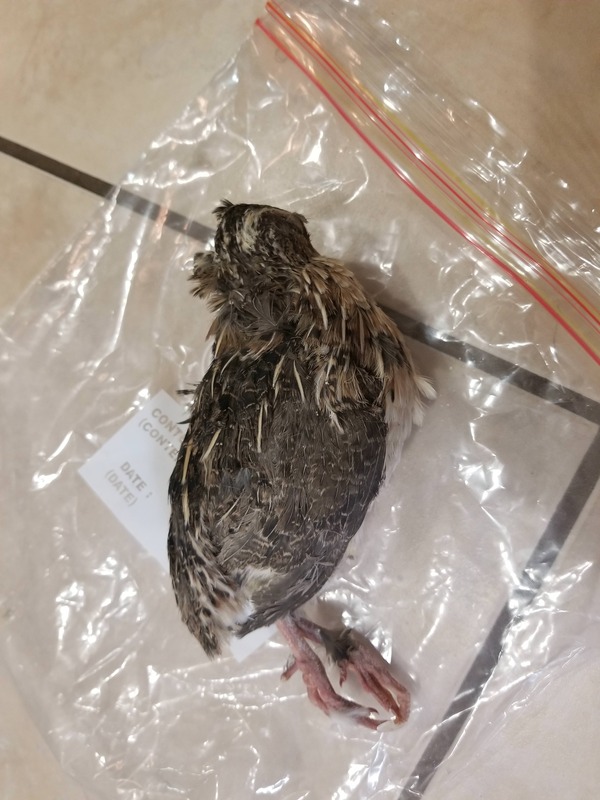 Re: Quail or Bird Diet? I've only fed my carpets chicks as a supplement with rats being the staple of their diets. I'd keep trying to offer mice and rats along with your avian prey and hope your carpet transitions. I believe in a little bit of tough love when it comes to picky eaters. If you wait them out long enough they'll usually eat eventually. If your animal is healthy and eats birds consistently you could stick with that I guess. I think trying rabbits is a good idea too. Do you have pics of your carpet? A couple of my adult Dominican mountain boas prefer quail (or chickens, doesn't seem to matter, suitable size is important though). Also, one of the 2016 babies refused to switch from anoles to rat pinks, that one eats day-old quail chicks now. You can always try scenting with quail or even cutting off a wing and feeding that along with the rodent. Yeah I'm going to continue to try but been extremely busy with moving to a new city, new job and kinda want to take a break from stressing over her not eating rats so I figured I'd ask to see if anyone is just on a bird diet. Unfortunately can no longer post any URLs. But she's about 6.5 feet in length, pretty thick, definitely not skinny. Very active, poops normally, sheds great, overall I'd say very healthy snake. Now the Quail I believe would be the size of a medium rat, do you think I should feed her 2 to make sure she's getting enough nutrition and then just push feeding her every 20 days or should be fine with 1 every 10-14 days. It does leave a lump in her body. From the sound of things she's a pretty big girl and if the quail are the size of a medium rat I'd think 1 every 10 days or 2 every 14 days would be a good feeding schedule. Yeah, I am not worried about her weight at all. How often are you feeding your Carpet Pythons, do they take larger than a medium rat, I feel like a full grown Carpet can take a Large Rat? Should you decide to add chicks to your snake's diet, Big Cheese Rodent Factory sells day-old chicks in addition to mice and rats. I have always been impressed by the quality of their feeders. After you make 5 posts you should be able to post photos IIRC. ETA: I missed that you're in Canada. Not sure how practical it would be to ship from the US. I feed my carpets every 10-17 days depending on the size of their meal. Most of mine get medium or large rats. Sometimes they'll even get jumbos. They easily take these sizes. I don't have to feed them anything larger but I do want to offer them small rabbits at some point. I've been feeding my neotropical bird snakes on mostly chickens for many months now. Personally, I've not noticed anything negative about it. I can't see that they are doing any better or worse than on rodents other than they never refuse a chick and the rodents seems like they were pickier about when they wanted to eat. I try to feed a little variety of both sizes and food types to make sure my snakes get everything they need. Couple more weeks with quail, then try to scent a rat with quail, even put a couple feathers in it's mouth.